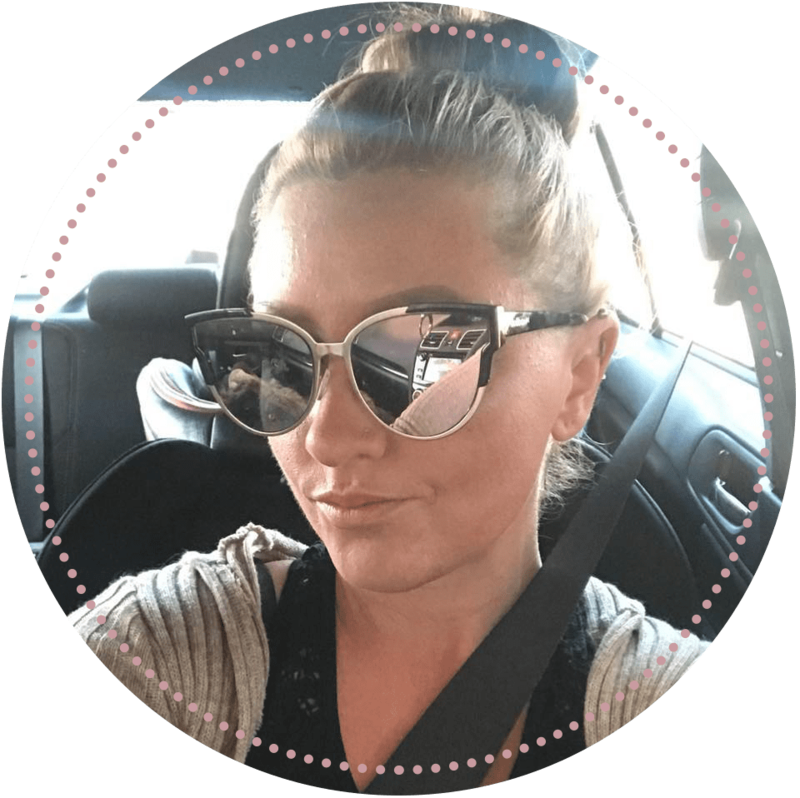 *This post contains affiliate links meaning that if you sign up using them, I earn a small commission, which helps support this blog at no additional cost to you. Keep in mind that I only link to quality products I believe in and feel would be beneficial to my readers. TIP: Learn how to keep your hair healthy this winter! PB and J hair is a new hair color trend, inspired by everyone’s favorite childhood food (except mine because they’re gross). According to Allure Magazine, the trend started with Maryland hairstylist, Megan Schipani, on her official Instagram page. Since her client could not have full-blown rainbow hair, they decided to go with deeper reds, purples, and caramels. The result: peanut butter and jelly hair. Slate blue is more of a greyish color with blue undertones. Since light blue is a color typically associated with winter, this is a perfect (and trendy) way to show your winter spirit. Ombré and balayage-type color applications have been top-rated for a few years now. 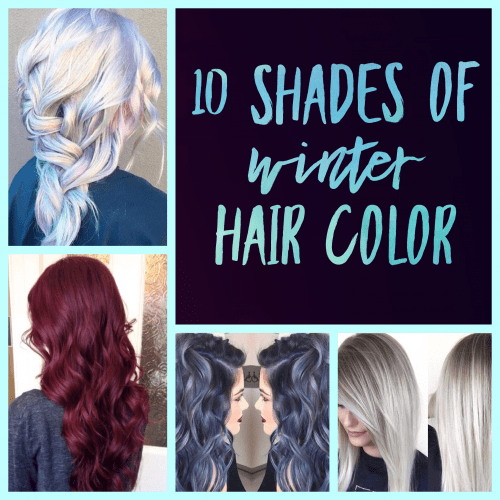 For a perfect winter ‘do, melt your choice of frosty whites, silvers and/or blues into each other. Peacock hair is not necessarily a new trend, but it is still stylish. I love the idea of using pastel blues, violets and greens for winter color, and this look combines all of them. How I Achieved Peacock Hair Color! Brassy tones are prevalent right now (see blorange hair) and bold shades are perfect for winter hair color. Incorporating rich copper tones to your hair is a great way to carry fall styles through the winter. Like rich copper tones, burgundy hair (which is one of the 10 shades of red hair) is a great way to make a bold statement this year. Furthermore, this color is named after the wine, and wine should be the staple of everyone’s winter diet. The rich, purpley tones of burgundy will boldly accentuate any winter hairstyle. Once again, I would like to stress that bold, vibrant colors are perfect for winter. Bold tones are harder to maintain in the summer (think: swimming, sun, etc. ), so rock them while you can. A fun way to tie in bold colors is with a dark ombré. This is probably my favorite shade of winter hair color. Since ash blonde has blue undertones, it gives it a wintry feel, while remaining subtle and work-friendly. This color looks great when applied all-over, as highlights, or even in a balayage. If you liked ash blond, you’re gonna love silver hair; it’s about as cold as hair colors get. There are many different levels of silver, but any of them would be perfect for winter. A few years ago, I showcased opal hair in a Trend Watch article. Even though it’s not a new look, it’s still trendy and super fun. These holographic hues remind me of sun reflecting off the snow or something of the like. I think it’s a fantastic way to show your winter spirit! Tasha Leelyn can show you some pointers on how to create this look. Very interesting suggestions. Loved the videos. I love your name!